iiNet and the Sinking of the NBN? There is a major problem with the recent report into the NBN, and, indeed, with all costings for the NBN that I have seen. They all ignore a major risk – regulatory risk. 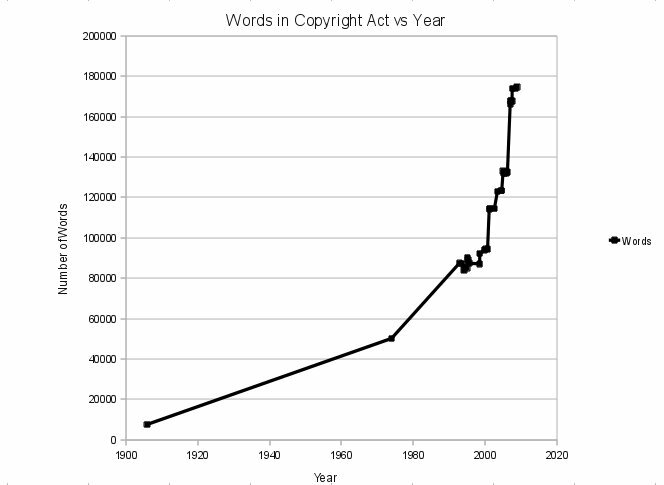 Or, to be more specific, the impact of further changes to the Copyright Act. There are currently a couple of proposals on the cards which will have a substantial effect on ISPs’ businesses. The proposals are: ISP liability and the creation of a three strikes scheme for terminating copyright infringers’ internet access. Nonetheless, the court at first instance downed the argument (quite extensively in fact). That decision is now on appeal and whatever the outcome it will likely go to the High Court. In the end ISPs will be held liable (see below). This will either mean that ISPs will have to implement something like a three strikes arrangement as a “reasonable measure” to prevent infringement (see next section) or they will need to charge extra to pay off ‘the industry’. How a pay off would be costed is hard to say, but presumably it would be similar to how cable TV is priced at the moment (perhaps less per person if the cost of infringers is amortised over the whole user base) – FetchTV’s pricing, once available, may give some indication (rumours are it is around $30 per month). This will add a substantial component to the price of a month’s broadband access (guess = on the order of 20-30%). In addition there is the possibility that an enormous pipe brings with it greatly increased infringement and therefore an even higher copyright tax. I note also that ISP liability will, in practice, add ‘the industry’ as a gate keeper for all innovation on the network. As a consequence ISPs will forego or delay new services if they are likely to have a copyright impact. Moreover, ISPs will even be gun shy about their customer’s use of the services – because, hey, the ISP is liable after all. The innovation that the NBN is supposed to unleash will be dampened. That under-innovation will have a subsequent impact on uptake. Why would someone, for example, pay extra to get the same old TV on digital rather than analogue transmitters (we should not forget that this issue delayed uptake of digital TV in Australia for years)? The other likely modification to hit the statute books in the next few years is extrajudicial punishment. Under this regime if you thrice accuse someone of infringing copyright then an ISP will be forced to disconnect their internet service. It may not be so abrupt initially, but that is certainly the destination that democratic legislatures are being ordered to go to. Exactly how many people this would affect is not clear. 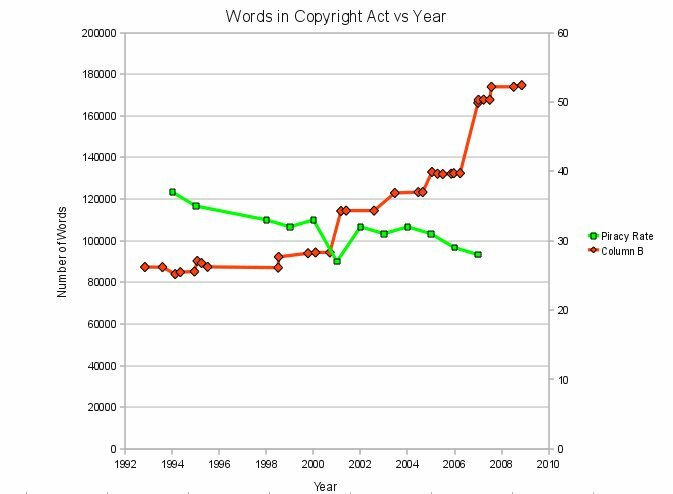 For example, it is difficult to get any reliable (<- note this word) data on what percentage of people infringe copyright through the use of an internet connection. Apparently in Canada, “Throughout 2007 and 2008, copyright lobby groups were busted for making up statistics about Canadian piracy rates. The statistics went all over the board including 10%-20%, 20%-30%, 50%, 70%, 75%, 85%, and even 90%. An incredible margin of error of 80%.” Let’s assume  that 20% of users are infringing users (this is at the lower end of the scale for estimates given by ‘the industry’). From here let’s try to map some impacts on the NBN. First, we need to realise that infringing users will likely get more utility from the high speeds that will be offered by the NBN than other users. So they are likely to be overrrepresented in any take-up figures for the NBN. So, what happens to the NBN if they are all kicked off? All of a sudden, the NBN’s take up will be down substantially so the rest of the subscribers will need to pick up the slack. These remaining subscribers can either be charged a substantially higher rate to cover the build costs (which will mean that a further portion of them will choose not to take up the service…) or the horizon for amortizing NBN Co’s costs will need to be substantially pushed back. You might argue that whatever percentage are infringing, as soon as a couple of people are disconnected, the rest of the infringers will stop. That may well happen, however, if that’s the case why would they continue to take a premium priced broadband service? The bottom line is, either three strikes will not have any substantive effect on copyright infringement, or the NBN’s costs will increase substantially. “I saw iiNet’s defence in court under oath … they have no idea if their customers are downloading illegally music or movies,” he said today at the Commsday summit in Sydney. “Stunning defence, stunning defence,” he continued in what appeared to be a sarcastic comment. That would be an interesting discussion…. In any event the Australian Government has a poor record of protecting each citizen’s rights against expansion of the Copyright Act. 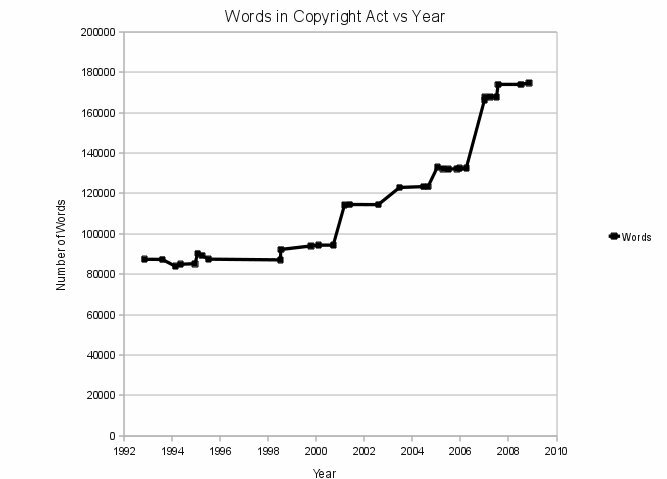 When the first major case on copyright was decided in the mid 80s (which found that copying of object code for computer software was not an infringement under the Copyright Act) the then Labor Government took all of 6 months to ensure that the legislation was changed to bring it into line with the then US policy on the issue. Indeed, the then Minister only took a handful of days from the decision (and before holding any inquiry) to give public assurances (to the US?) that the legislation would be changed to fix the decision. I think it would be fair to say that whatever the US movie houses have asked for over the past 20 years or so they have gotten, and they have gotten it from both sides of politics, and they have gotten it despite reservations or outright opposition from parliamentary committees which have reported on whatever issue was up for discussion. And, they’re asking for ISP liability and three strikes, so it’s coming and the NBN hasn’t been costed for it. The NBN costing should include an allowance for this. If they don’t the copyright amendment bills should have something in their economic impact statements. They won’t, of course. The established procedure in this field seems to be choosing a number which suits, without any real basis or evidence for it. The process of acquiring a Mindstorms robot kit has left an extremely bad taste in my mouth. Lego apparently has something of a reputation for openness with the Mindstorms Kit (although the programming software is both closed and won’t run on Linux – and you’re not licensed to develop commercial applications with it). However, they do not seem to have a reputation for free trade. Pricing for the kit on Amazon equated to about AU$330 delivered (Amazon have just sent me an email suggesting I buy it from them based on my earlier searching – which has set off this post). This compares very favourably to local pricing of AU$450 (not delivered). Or, it would compare favourably if someone was willing to ship one to me from overseas. While there are a couple of small places that will, they don’t have the volume, so shipping costs are very high. Amazon claims “warranty issues” as the reason. For a bunch of plastic which runs off AA batteries, and for which an identical product is sold here? GMAB – I call baloney. I can only assume that distributors have been heavied by Lego. This reeks of market segmentation. In rough terms, for every two sets an Australian school can buy, a US school can buy three. Yet another example of how copyright hobbles innovation in this country.